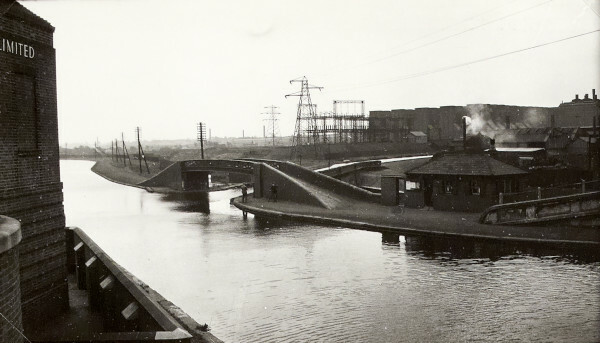 Black and white photograph taken at Salford Bridge Junction where the Grand Union Canal and Tame Valley Canal meet the Birmingham and Fazeley Canal. Taken from above the canal, the bridge is on the other side of the canal and there are various industrial buildings and pylons behind it. This photograph is on page 106 of the C N Hadlow photograph album.